As the Hospitality trade changes and customer service becomes more demanding, Epos Company has developed Kitchen Video System called ECkv to increase the efficiency and smoother running of your kitchen. Epos Company can supply a Kitchen Video System ECkv that is fully integrated with ECTouch software. With this system installed you will immediately enhance the productivity and efficiency of your kitchen. 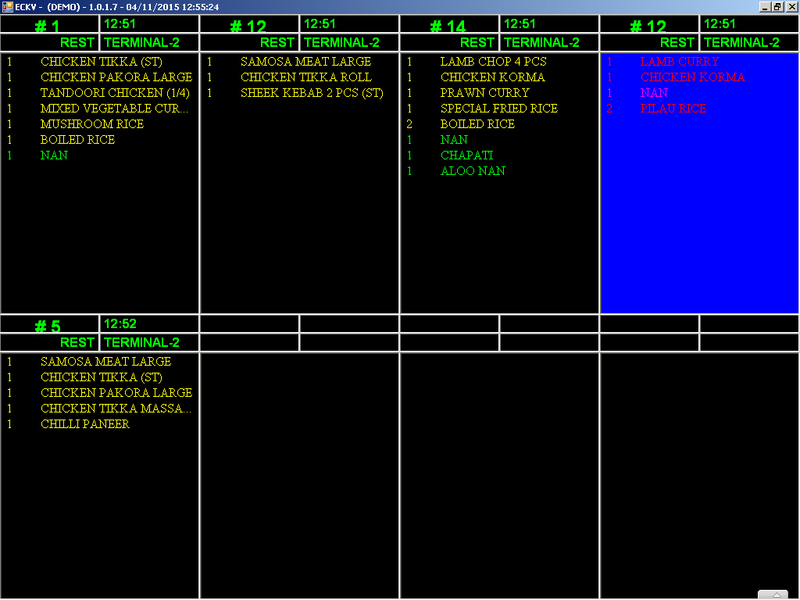 At a glance both Chef and staff can monitor orders as well as the status of orders. All fonts and colours are fully customisable to make sure every order is clearly displayed for your kitchen staff. The Kitchen Video System automatically displays the current time as well as the time of order received with full details, it also cuts down on errors such as lost tickets or missed orders. All orders that have been dealt with can easily be bumped off by kitchen staff. Once the smooth running of your kitchen is established, this can only increase the pleasure that your customers experience. 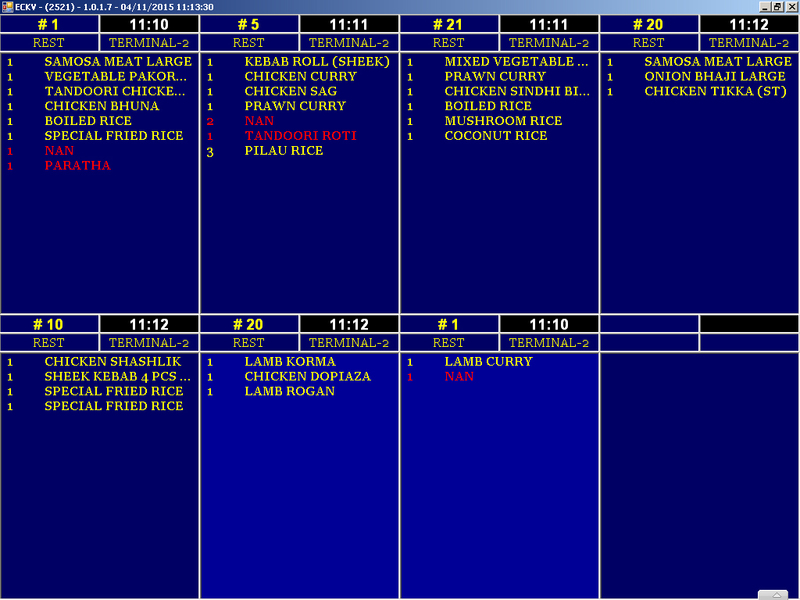 ECkv system is ideal for busy Restaurants, Pizza, Fried chicken, Burger bars, Indian and Chinese take away. All dishes can be programmed with special instructions to appear on the screen.